Over the past couple of months a lot of emerging headsets have arrived with varied differences between the technology, comfort and controls. My usual approach to reviews is to benchmark similar vendor headsets against each other, however for this blog post I’m going to review the Jabra BIZ 2300 headset on its own merits. So in the usual fashion, we will look and review the following areas. So just to set the perspective on this headset, this is the smaller brother to the Jabra flagship headset the BIZ 2400 which I’ve reviewed previous and gave 4 ‘lync’ stars. That said the audio quality in my opinion in this 2300 headset is as good as the the 2400 and at almost 40% cheaper than the 2400. The sound is clear with good ‘speak’ clearness and clarity and if i didn’t know it was a middle of the range headset i would have put it more towards the high end of the market based on the audio quality. For the noise cancelling i set up a series of tests with people talking around me in a busy open office location. Although the BIZ2300 does support noise cancelling the end caller ‘when asked’ said they could hear sounds behind/around me but couldn’t make out any voices or words of the people in the open office. Im not sure if this was a good or bad result if I’m honest, as i would rather the noise cancelling blocked out all background noise, HOWEVER it was a open office and with a lot of loud people within touching distance so i think i will take the positives out of this on this occasion. Functionality and Comfort and its market? The market for this headset is around agents of a contact centres and therefore for the people who wants the bells and whistles of ‘dongles, bluetooth, clip connectors, leather ear pads etc etc’ would be disappointed with this device as simply put its an headset but a very well made and good quality one i may add. 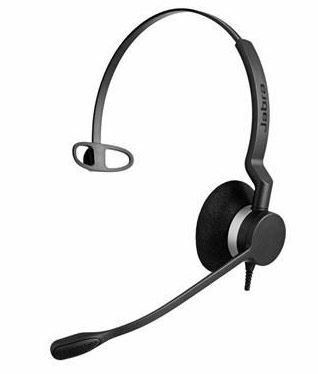 If i was to be picky, as stated this is a contact centre headset and Jabra state this fact in their online documentation about the device, yet the device doesn’t come with a cable break? (this is where an agent can unplug the headset part way down the cable to go away from their desk yet leaving the actual headset on there head), this omission surprises me as dealing with a lot of Lync contact centre deployments this is a key factor in choosing an headset. The headset is of good build quality and you can see that Jabra have worked hard in getting the headset fit and comfort for long wearing purposes. The boom arm is nice and long plus its flexible so you have the ability to move it in/away from your face and mouth. The cable is quite long actually which is a nice touch as most contact centre users have their computer base unit under the desk so leaving more desk real estate. The cable on the 2300 allows for it to be plug in leaving ample cabling for the agent. I really like this headset actually, I’ve been using its for the past couple of weeks and I’m impressed, as the headset hasn’t faltered at all while using it with Lync 2013 on a windows machine. I must point out though the Mac OSX which Jabra says is a supported OS recognises the headset but using Lync for Mac i found the headset problematic in terms of sometimes it works straight away and other times i had to unplug and replug back in the USB. If you are wanting this device for Mac users i would maybe speak with Jabra around the testing they have/havent done with this device before purchasing. A couple of other things of interest, again around the contact centre angle the ear pad is foam which I find a slight problem as these form things can get very ‘crusty’ with heavy use. When i spoke with Jabra on this, they made a valid point of it allows for removing and machine washing which i thought was a good idea. And the last point is around no carry/safe bag to store the headset in?? surely one of the main factors of contact centres agents is the point at the end of their shift they unplug the headset and place it in their locker for the next shift. Without a bag the headset is prone to damage. Even with the no cable break, form ear pad and lack of back i wouldn’t be put off suggesting this headset to one of my customers. Well done Jabra this is a good headset.! As of today you can buy one on these headset is both form factors mono, duo for £85, £90 respectively. This headset is available now and for more information the link below will send you to the Jabra website. 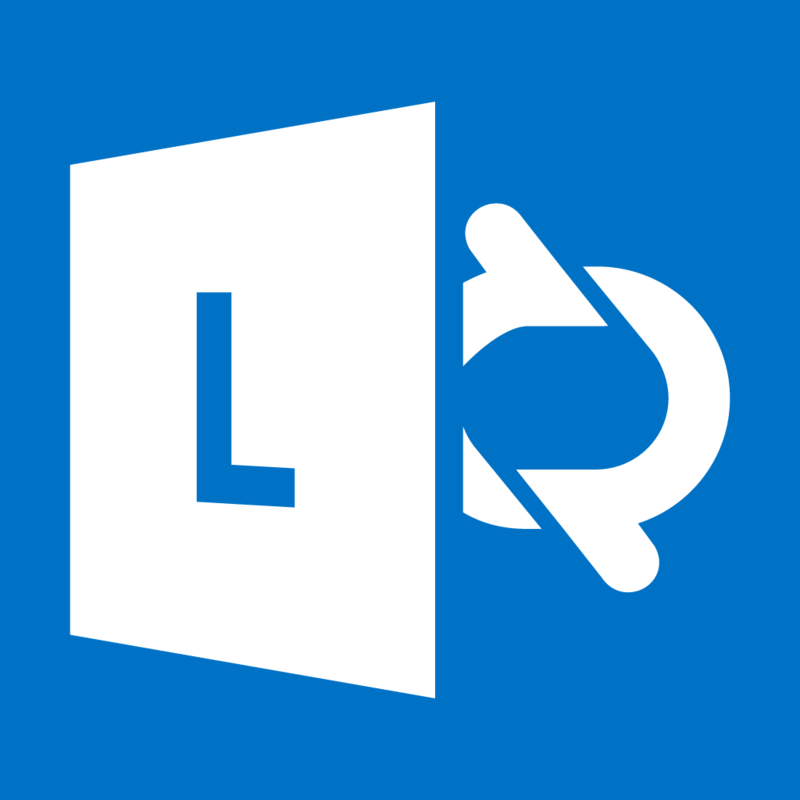 Released today is the new Lync for Mac update. Only two items detailed as fixes where one of them is quite interesting. ** I thought it was always supported on Mavericks?